Bits & Scraps Of My Life: Today is my posting day at Scrap Friendzy! Today is my posting day at Scrap Friendzy! I have no nails left!! In keeping with the whole 5th Birthday theme my challenge is to create a page using 5 of more fonts or letter types on a page. Don't let it scare you!!! If you are a frequent visitor of mine you know I do this a lot......it's fun and neat on a page and I'm cheap and won't throw anything away......lol. I combined this with a couple of other challenges that I wanted to do anyway and it all just clicked together....doncha love when that happens???? I used the sketch over at Creative Scrappers......sketch #229. Changed up a couple of things and made it my own. Give it a good ol Emeril BAM!!!! I've scrapped this photo before but couldn't resist it again.......and I didn't have the one of Jacob and Chloe printed yet.......Jesse HATES this page........lol. Soooooo wanna play??? 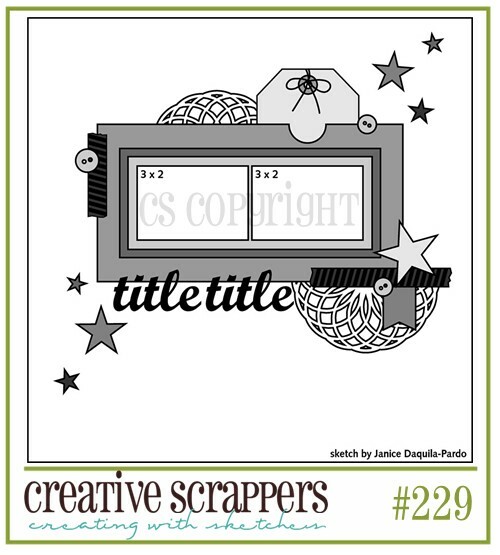 Cmon over to the Scrap-Friendzy forums!!! Even if you hate this challenge I KNOW you will find one to inspire you!!! You have ALL MONTH LONG to play!!! 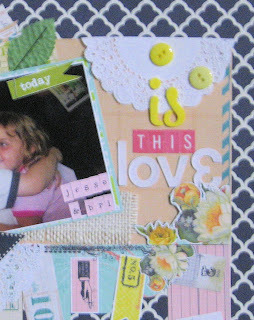 I have another project waiting for the sun to come out so i can photograph it and share tomorrow.....and don't forget, Friday we have a brand new challenge at Digitally Sweet!!! Great job on your first challenge! Ohhhhh I love love love your lo!! I loveeeeeeeeee that sweet photo and love love love love the tickets!!!! 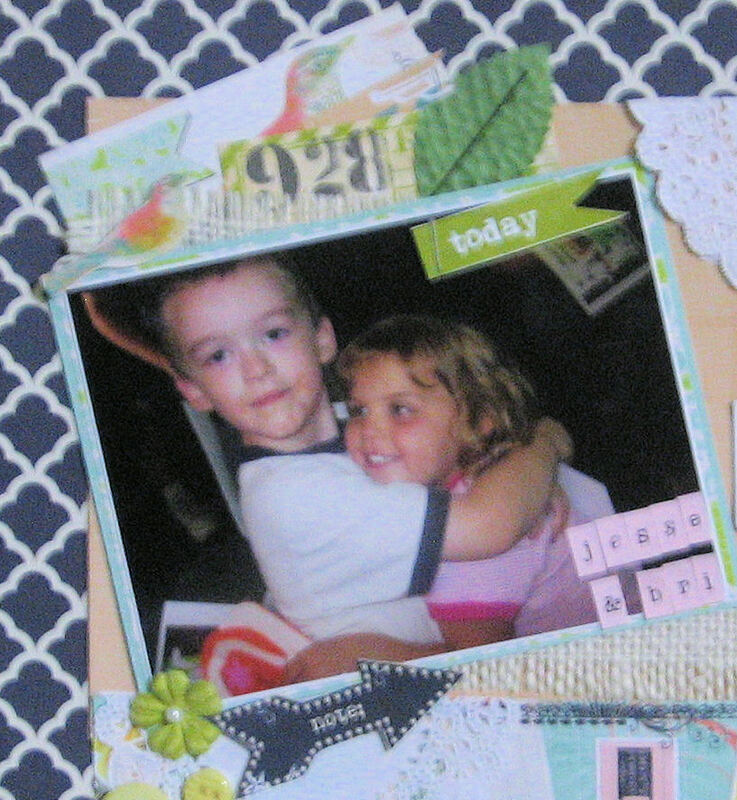 oh fabby shabby chic layout - and adorable photo! Congrats on your first challenge! I hope your back is better soon and will say a little prayer for you. Your first challenge is a fun one Teena! Love the sketch you used and how you made it your own.